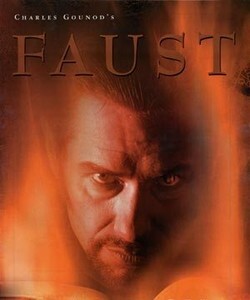 STONY POINT, NY - The Hudson Lyric Opera serves up a Halloween treat with its production of Faust by Charles Gounod. Performances run Saturdays, October 16, 23 and 30 at 8PM, Sundays October 17 and 24 at 2PM and Friday October 29 at 8PM at Trinity United Methodist Church, 47 East Main Street, Stony Point. 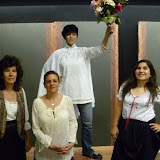 The opera will be performed in English, with costumes, sets and orchestra. This production features two arias in Act III that are usually cut out, offering a rare opportunity to hear them as the composer intended. Gounod's opera expounds the tale of "Doctor Faustus" by Christopher Marlowe, depicting the struggle of good verses evil. The aging Faust encounters the devil in the guise of Mephistopheles. In exchange for his soul, Faust becomes a handsome young man and is promised success in love. Throughout the opera each character faces temptation and ultimately ends up with retribution or redemption. The Hudson Lyric Opera, now in its fifth season, is comprised of many talented artists who live or work in the lower Hudson Valley. Artistic Director, Rosalinda Perez's purpose in founding this opera company was to provide local musicians and artists the opportunity to showcase their talents while providing the local community with a more convenient access to this art form.